Who: Shelby, general manager, AMSCO Supply, Wichita, a wholesale distributor of heating, air conditioning and parts and supplies. Need: Better liftgate solution. 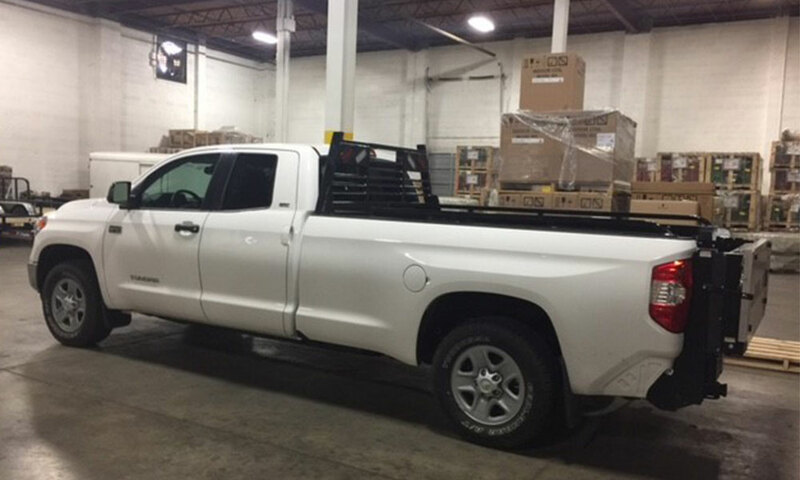 Salesmen make deliveries of HVAC units in company trucks. 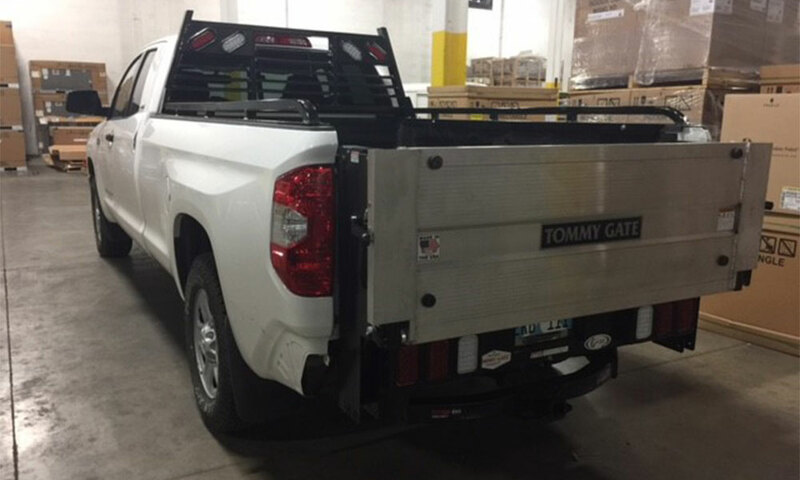 Current liftgates were steel and due to the chemicals and salt used on our roads and streets, they were showing corrosion, cables were stretched out, and payload was compromised because of the weight of the steel liftgate. 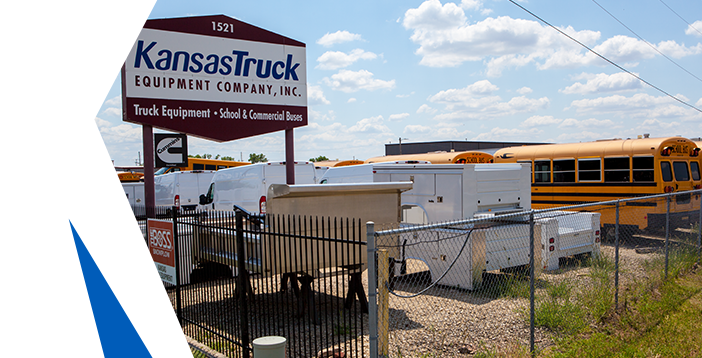 Solution: Kansas Truck installed the G2 Series TommyGate aluminum liftgate, fabricating a special switch to make it easy for drivers to operate. The lighter weight aluminum platform is thinner so there is more useable bed space. Because the liftgate is lighter, the GVWR is increased and more HVAC units can be transported at one time. G2 Series doesn’t rely on cables so there’s nothing that gets stretched out over time. Aluminum is more weather and chemical resistant. 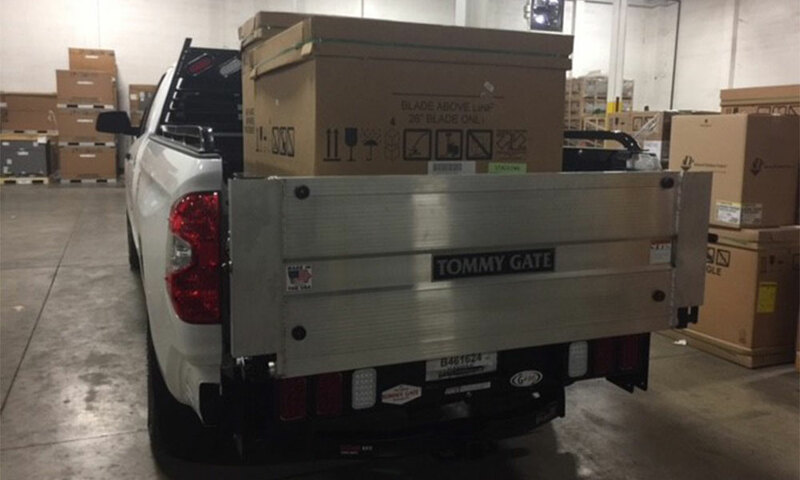 The TommyGate is spring-loaded and can be easily closed with only one hand.